Tuba Atlantic, a short film by Norwegian director Hallvar Witzø, has been nominated for Best Film (Live Action) at the 2012 Academy Awards. 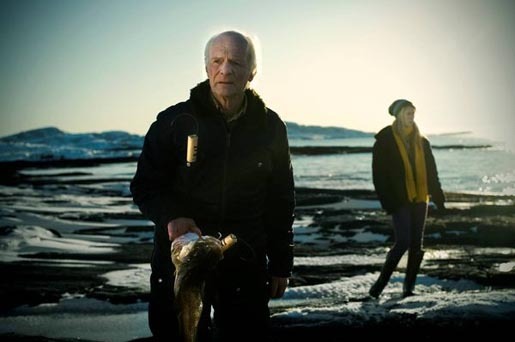 The 25 minute film tells the story of 70-year-old Oskar (Edvard Hægstad), who learns that his doctor (Terje Ranes) expects him to die in six days. As he comes to terms with his fate with the help of a teenager Inger (Ingrid Viken), he searches for a way to get in touch with his brother, whom he hasn’t spoken to in 30 years, with an unusually large musical instrument. Play the teaser on Vimeo. Filming was shot by director Hallvar Witzø as his graduation piece at The Norwegian Film School with scriptwriter Linn-Jeanethe Kyed, photographer Karl Erik Brøndbo, editor Vesa Happonen, sound designer Nils Jakob Langvik.